To make a donation online, please fill out the form below. Thank you! My employer/partner has a matching gift program. Please attach a copy of your matching gift form and contact information. Honor a friend or family member with a donation in their name to Maverick Concerts. We will send a tribute letter to inform your designated recipient of your generosity and forward a receipt to you for your donation. Click "Donation Amount" buttom below and fill in dollar amount. HELP PRESERVE OUR HISTORIC TREASURE! The Maverick Concert Hall is a multi-starred attraction on the National Register of Historic Places, a recipient of the Pride of Ulster Award from the Ulster County Legislature, and the coveted Excellence in Historic Preservation Award from the Preservation League of New York State. As the guardians of this iconic historic treasure, we work hard each year to meet ever-challenging historic preservation standards. And the cost of preservation is high. Our architect has advised that imminent problems are apparent in the roof that could result in leaks into the concert Hall. The repairs require replacement of shingles (shakes) on several sloped sections and some maintenance on the flat portion. This essential work must be done this fall. In addition, required work has begun to repair the floor; replace and secure certain piers underneath. Our Shakes and Boards Committee has raised $44,000 of the $60,000 needed to cover the costs of these renovations which fully support our mission. 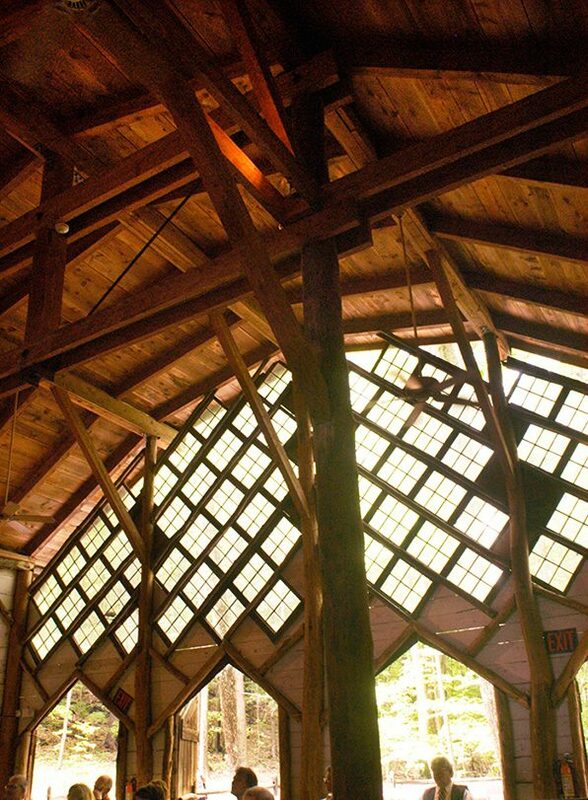 To safeguard our celebrated “music chapel in the woods,” we need your support to raise the remaining $16,000 by September 15. Please make your tax-deductible contribution today by credit card online by filling out the form to the left, or by check by downloading this form and mailing to Maverick Concerts, PO Box 9, Woodstock, NY 12498. Thank you so much for your commitment to Maverick Concerts!